One of the main feature of the event is the multi-subject approach: we have PyData, Rstats, Data visualization, machine learning and BI talk at the same venue. 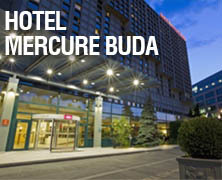 This way speaking at the Budapest BI Forum in any of the tracks also provides a special chance to learn about other interesting fields of BI and analytics. This year we will have the following track, with a separate CFP for each. Speakers are also welcome to submit more than one talks to the same or to different tracks. By filling in the CFP Application Form. The deadline for CFP submission is 3. September 17. September. Speakers will be notified by email. If you have any question, Bence Arató, the program chair of conferenceis happy to help. You can contact him at cfp@budapestbiforum.hu or on Twitter at @bencearato.